Cooking and Christmas go hand in hand. When it comes to cooking with kids, fun themed recipes are always a huge hit. Today I’m sharing a round up of 17 awesome reindeer recipes, perfect for having some quality time with your kids during Christmas break! Reindeer Chow by Tastes of Lizzy T is quick, easy, and delicious. My mom made a similar treat when I was little, so I love to make this one with my kids! 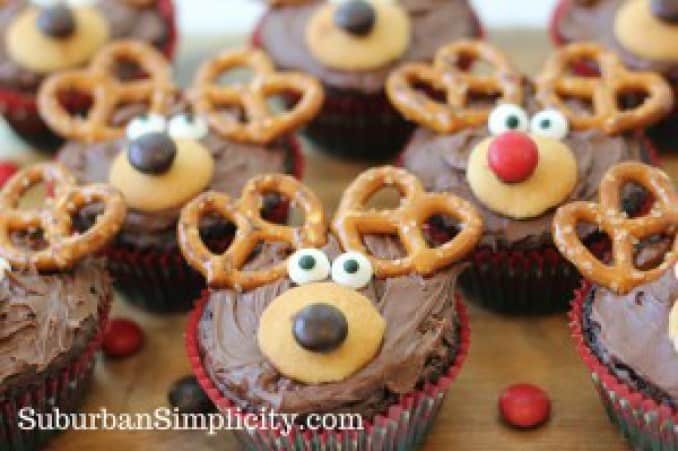 These adorable Reindeer Brownie cupcakes, by Suburban Simplicity, could not be any cuter! 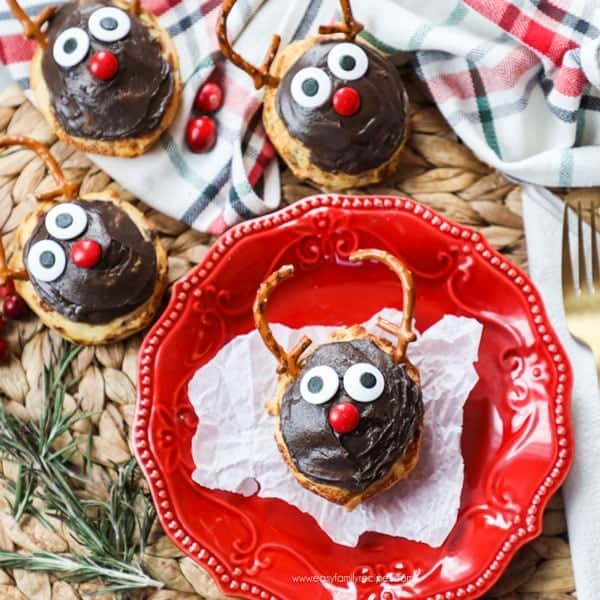 If your kids are up at the crack of dawn, ready to start baking with mom, these Cinnamon Roll Reindeer by The Pinning Mama are sure to be a huge hit! 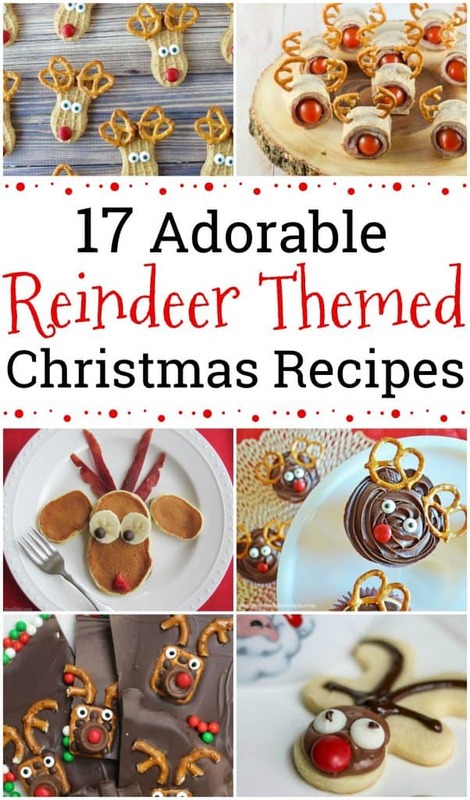 Or create these fun Reindeer Christmas Pancakes shared by Bren Did. 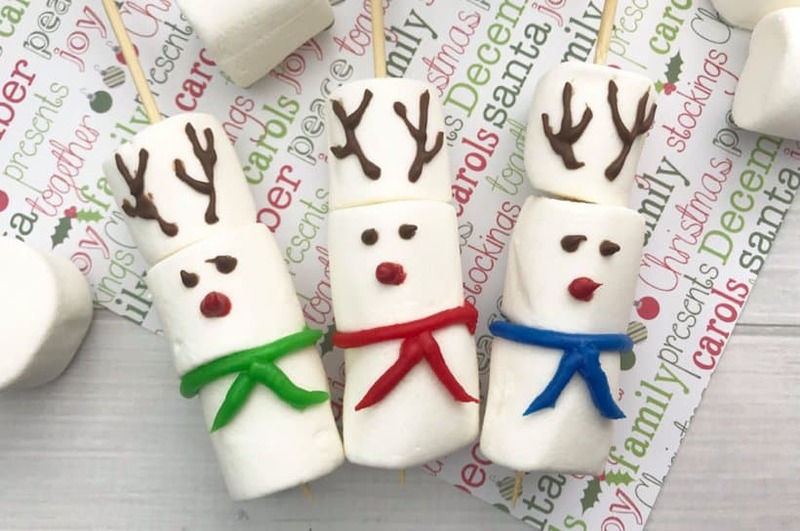 We love these Rudolph Marshmallow Stirrers for hot chocolate at breakfast time too. Cutting out and icing sugar cookies each Christmas is one of my kids very favorite activities. This year we are going to try these ingenious Reindeer Sugar Cookies from A Mind “Full” Mom. In a hurry and need a cute dessert? 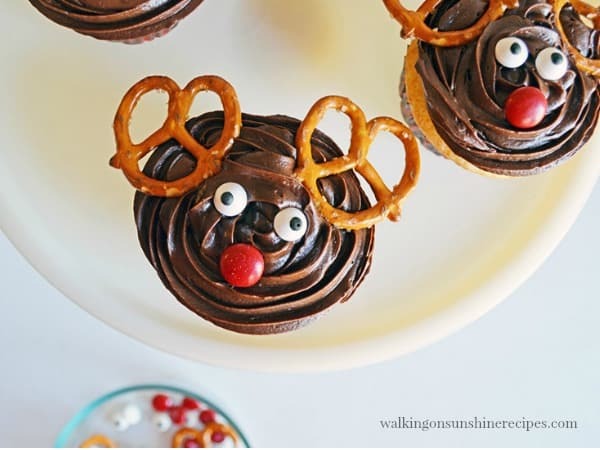 These Easy Reindeer Cupcakes by Walking on Sunshine are sure to make everyone happy! It wouldn’t be Christmas at our house without truffles. 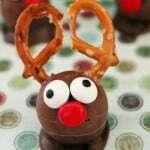 These Rudolph Reindeer Truffles by Mommy Musings are definitely the ones we will be making this year! 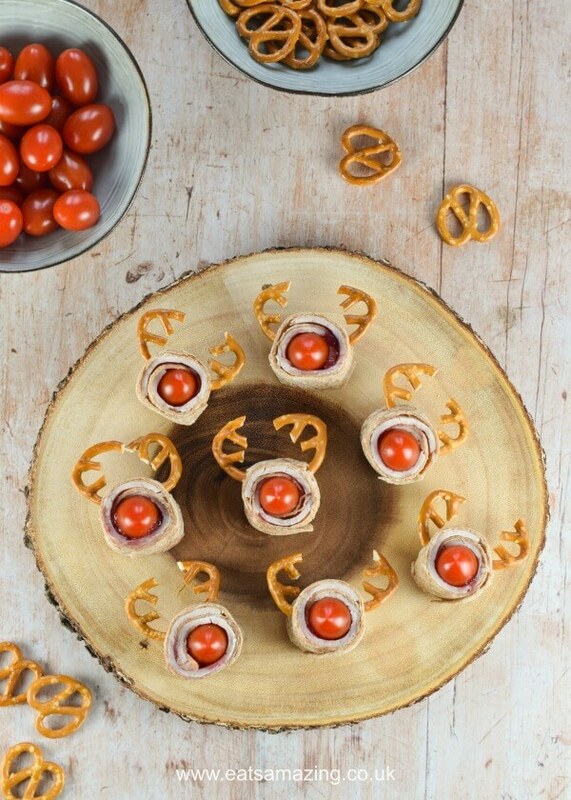 Reindeer Pretzels Snack by Delightful E Made are quick and easy would be perfect for snacking on during family movie night this season. Any recipe that doesn’t need me to turn on the oven and spend my afternoon staring at the kitchen timer makes me happy. 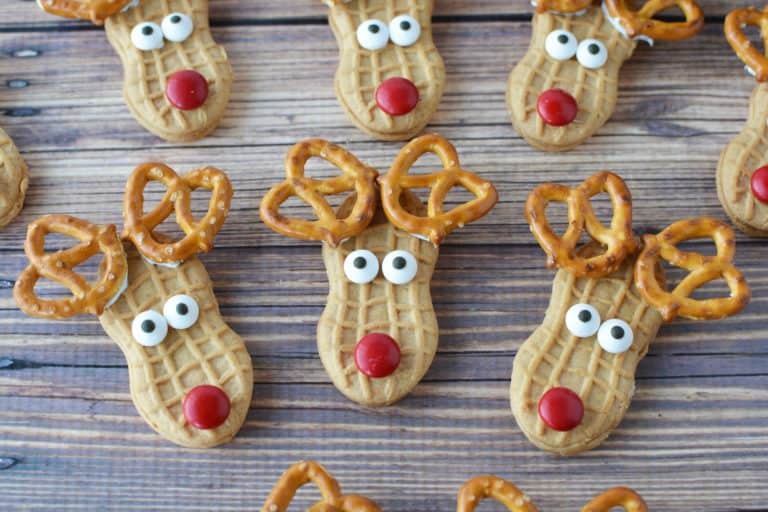 These No Bake Reindeer Cookies from Thrift Northwest Mom definitely fit the bill for that! Quick & Easy Reindeer Pizza Quesadillas with triangle shaped slices decorated just like Rudolph. Red Nosed Reindeer Christmas Lunch is a super cute reindeer themed bento option. 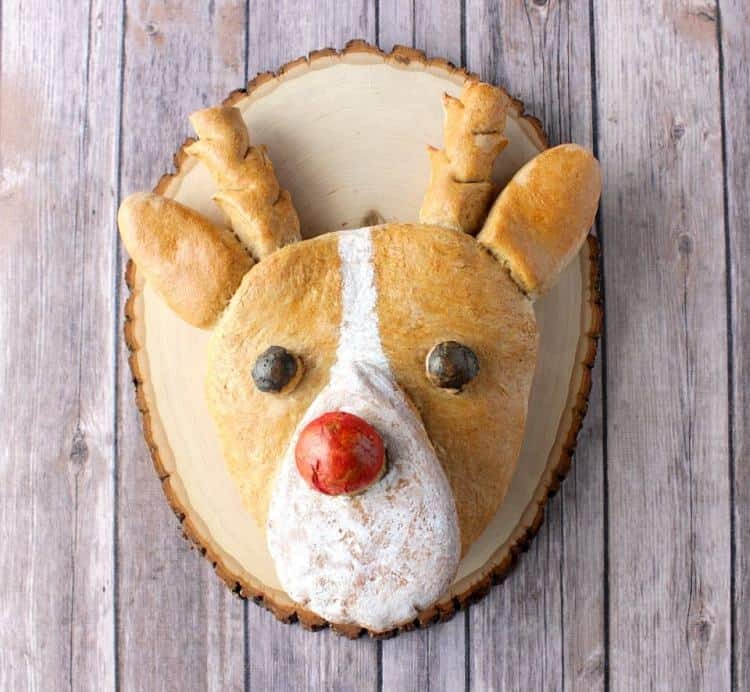 You can make an entire loaf of bread look like Rudolph with this Whole Wheat Rudolph Bread Nosed Reindeer from Kudos Kitchen. These triangle shaped Reindeer Rice Krispie Treats from Aileen Cooks are really cute for a lunchtime treat. I’ve yet to try my hand at making cake pops, but these Reindeer Cake Pops by See Vanessa Craft are tempting me to give them a chance. 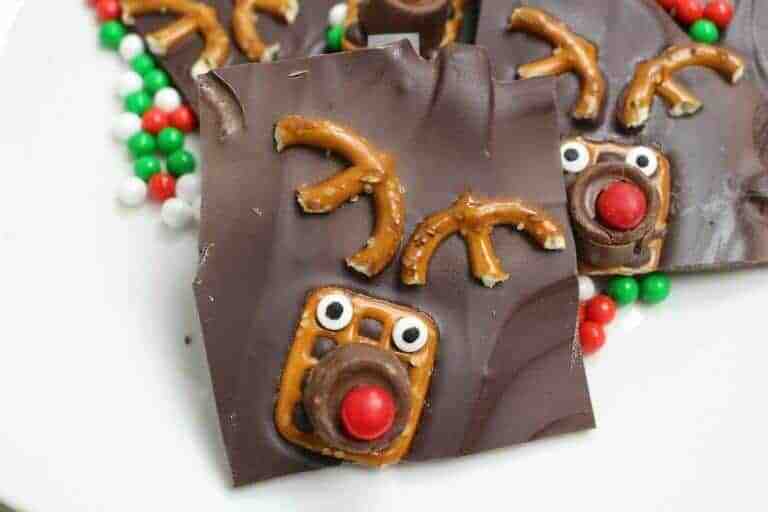 Chocolate & Candy Cane Reindeer by The Mommyhood Life look like another great way to use all the bags of chocolate melting wafers I have on hand. Peppermint and chocolate together mean I’m likely to eat more of these than my kids! 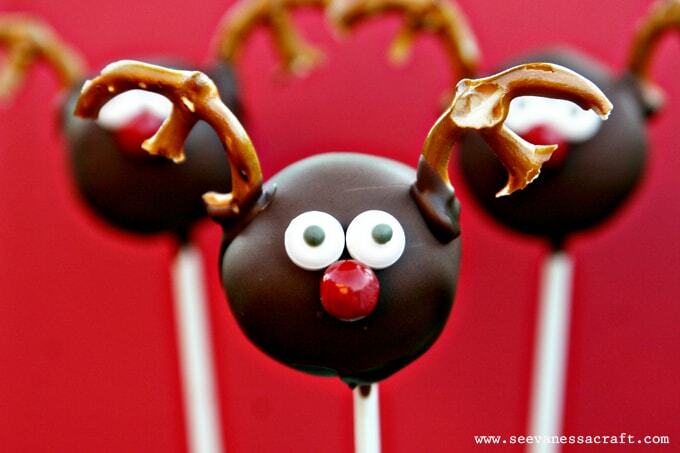 Which Rudolph themed treats will you be making with your kids this Christmas season?